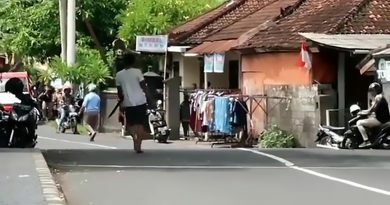 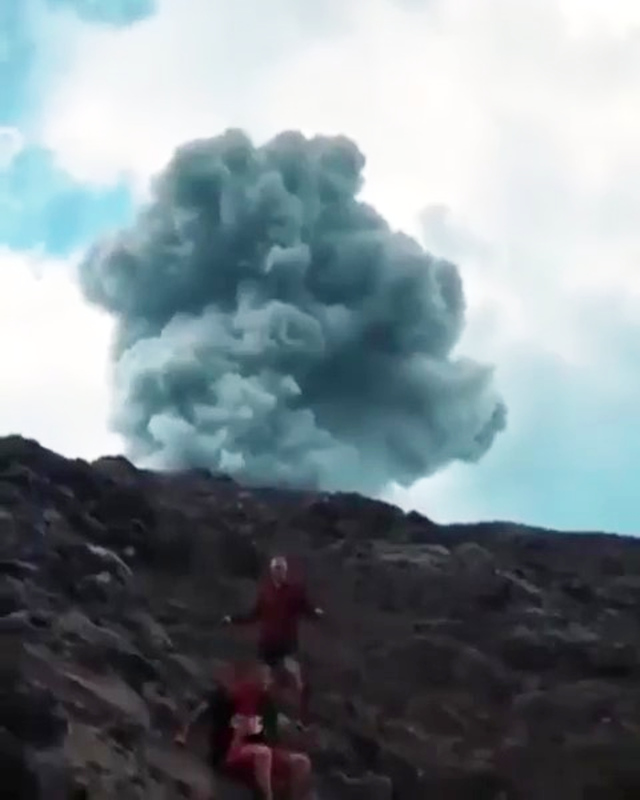 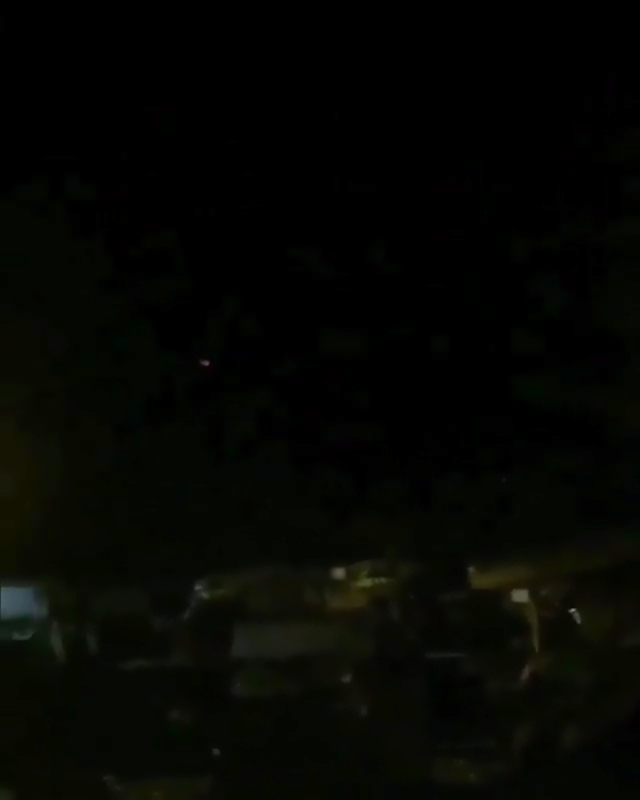 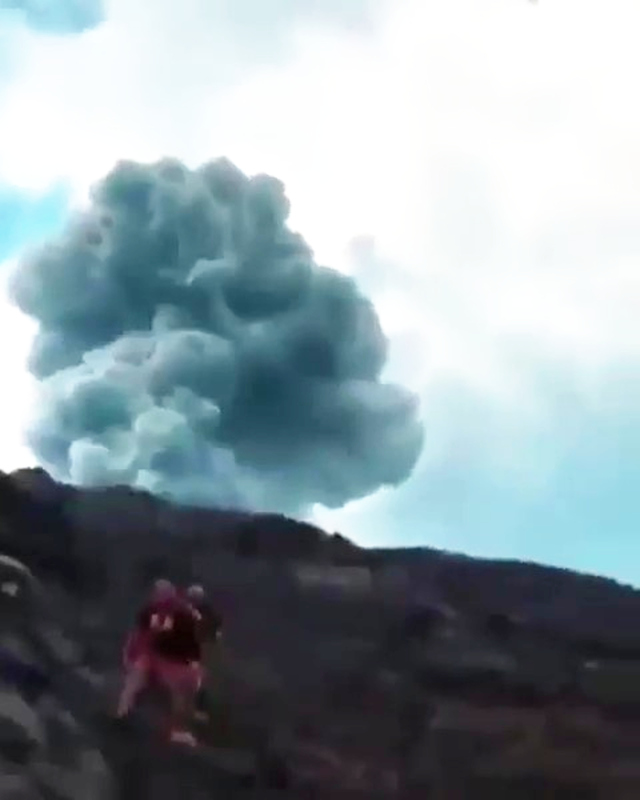 This is the moment Bali’s highest peak Mount Agung erupts and panicked Hindu devotees flee from a temple on the volcano’s slope as a two-kilometre-high column of ash is sent into the sky. 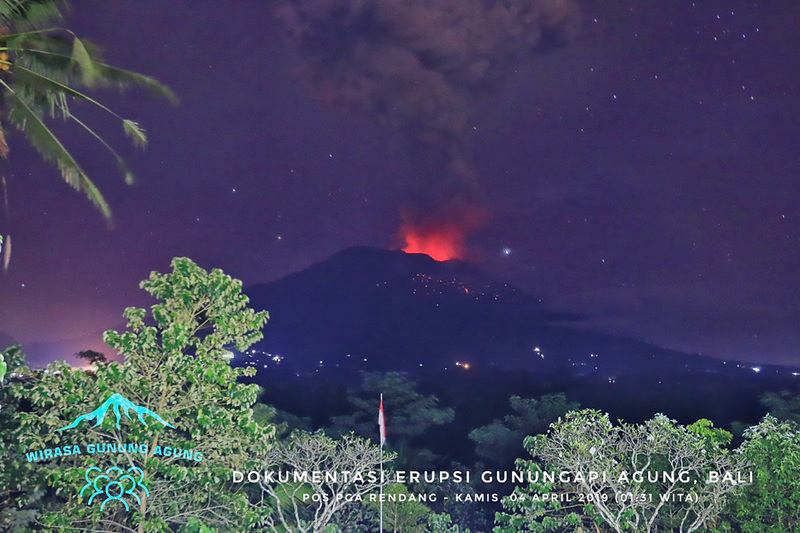 The eruption happened on Mount Agung in eastern Bali, an Indonesian island known for its forested volcanic mountains, has been active since 2017, according to reports. 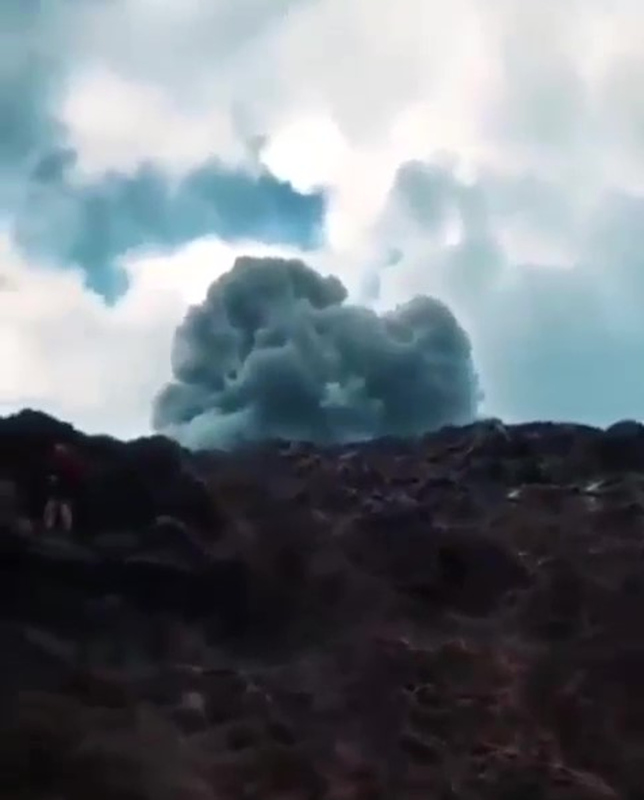 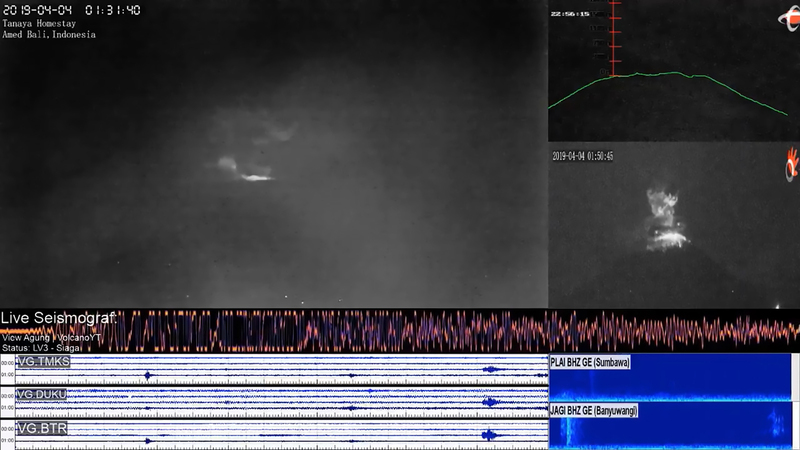 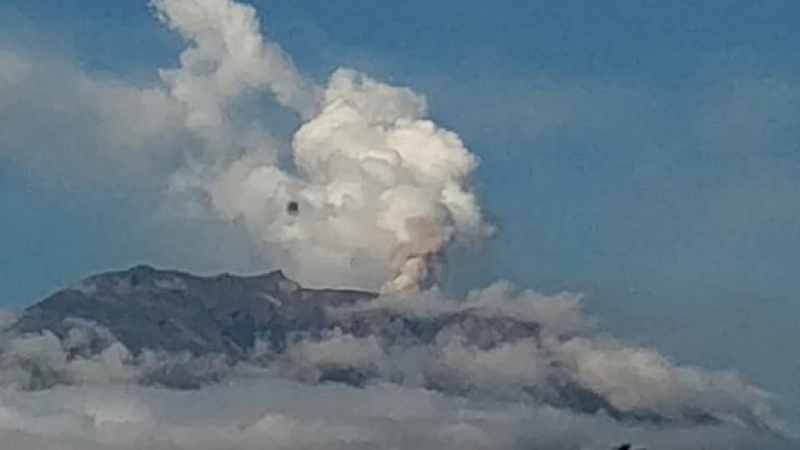 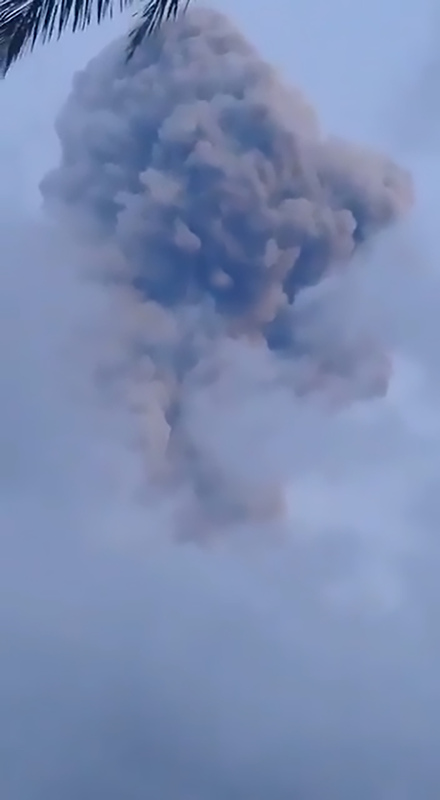 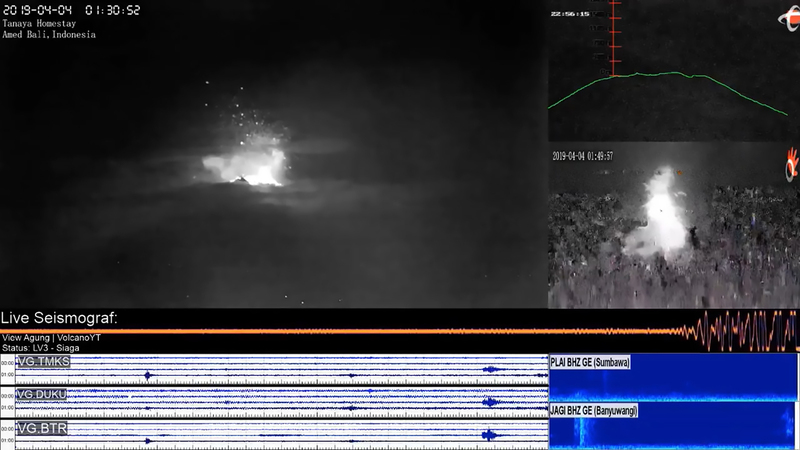 Video from Agung’s observation post shows lave spewing from the volcano’s crater as the blast sends a column of ash and debris two-kilometres into the air. 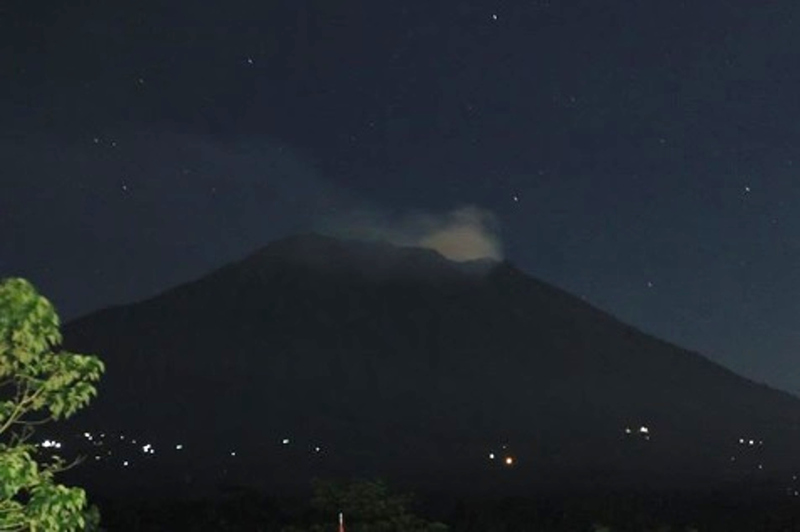 Meanwhile, additional footage shows Balinese Hindus dressed in ceremonial gowns filing down the mountain in the dark. 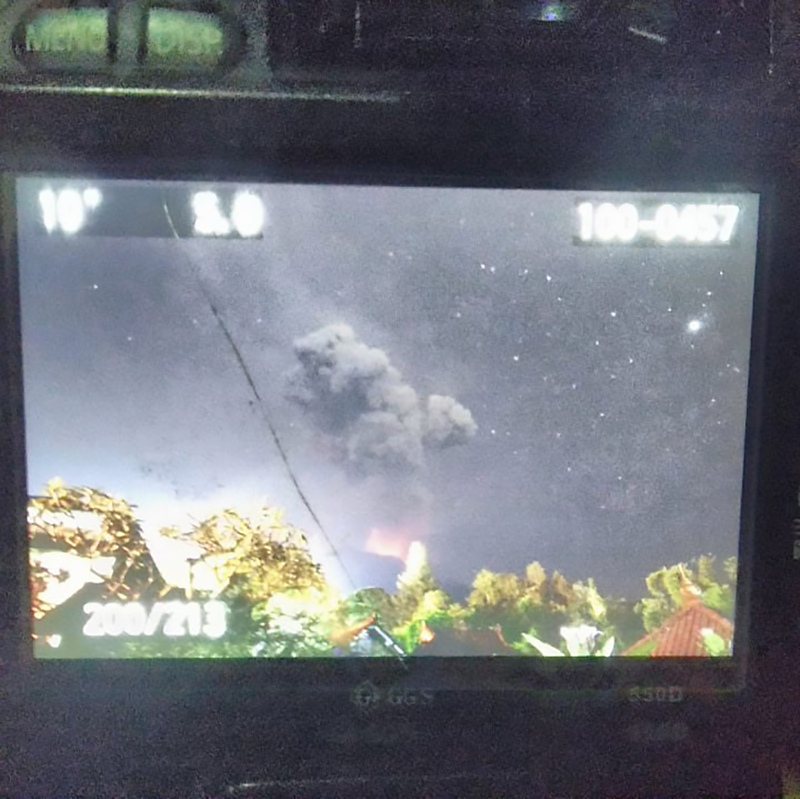 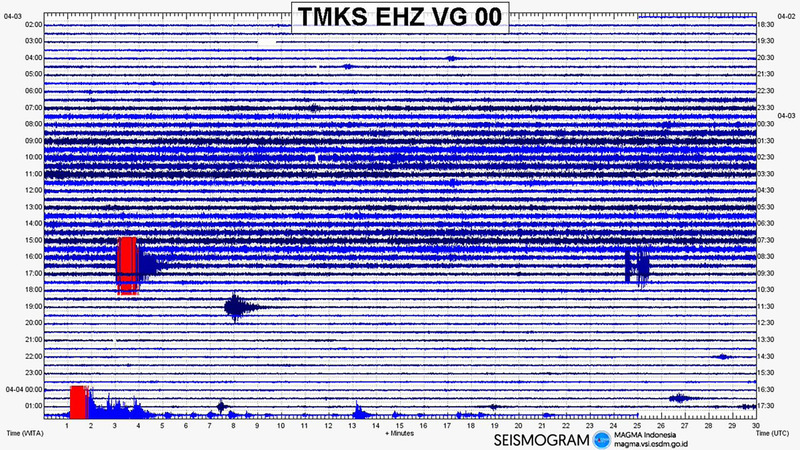 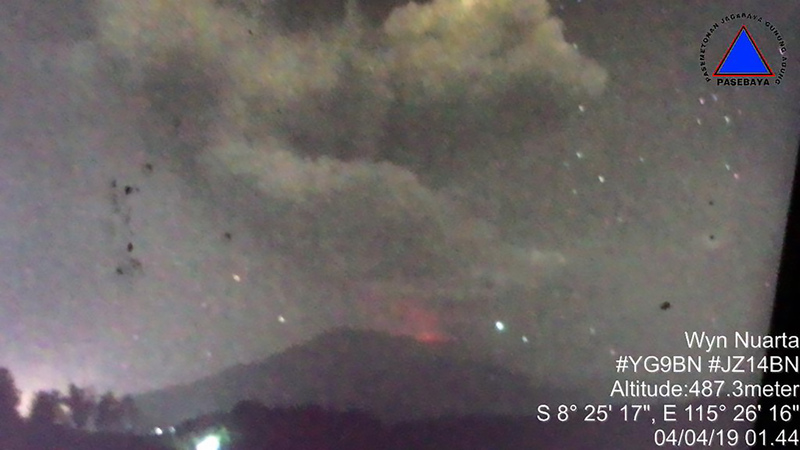 The latest eruption took place at around 1.30am on 4th April and Hindu worshippers at the Besakih Temple situated on the slopes of Mount Agung had to run for cover. 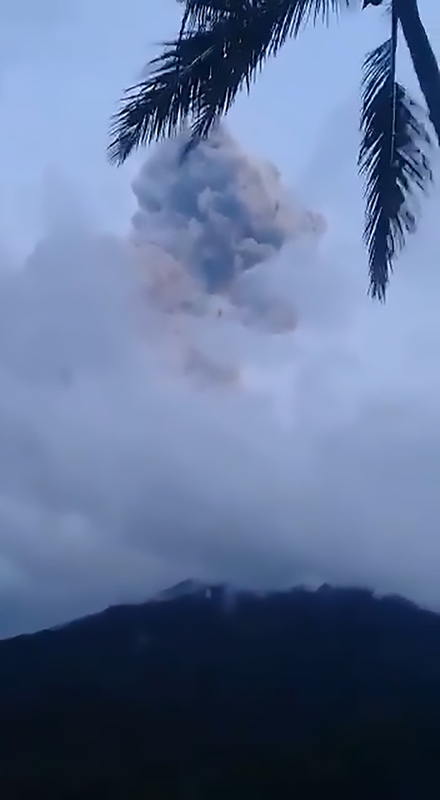 According to the Centre for Volcanology and Geological Hazard Mitigation (CVGHM), the eruption lasted for three minutes and 37 seconds. 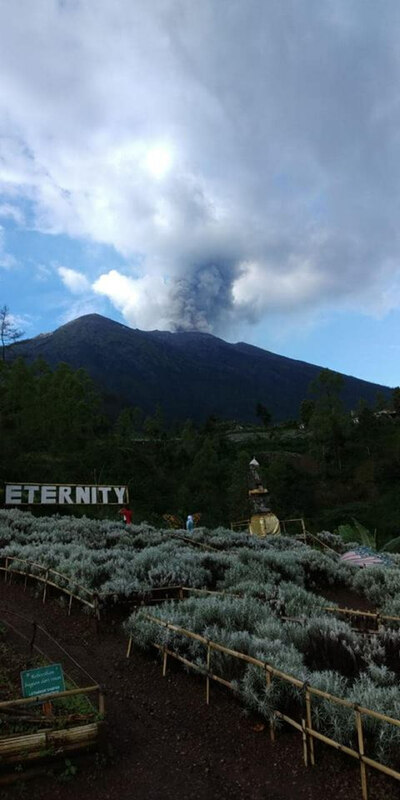 Reports said that toxic ash rained down on the Besakih Temple and surrounding areas. 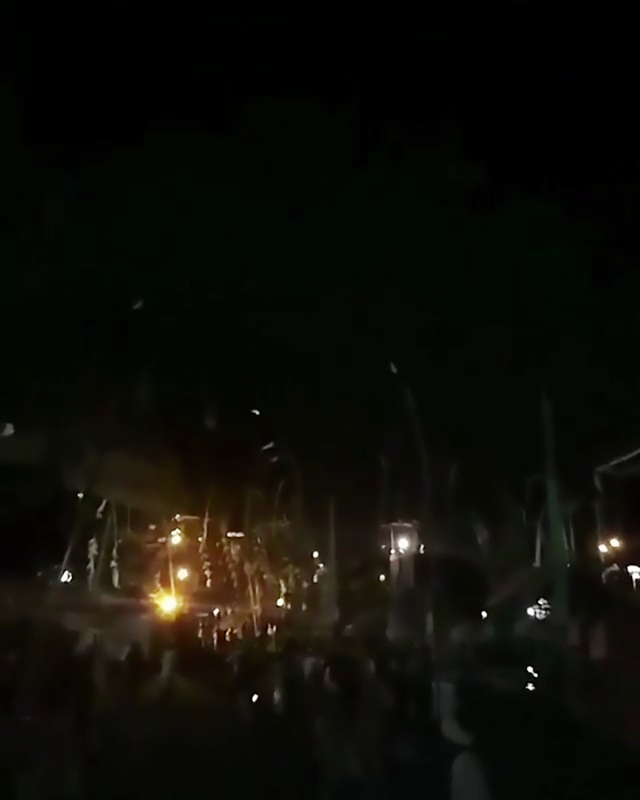 Reports said that they were celebrating the once-in-a-decade ceremony known as Panca Wali Krama which has been ongoing for several weeks. 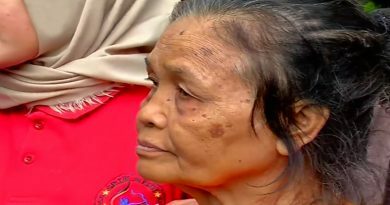 The Hindus were believed to be taking part in ‘mekemit’ where devotees guard the temple, praying and sleeping there until sunrise. 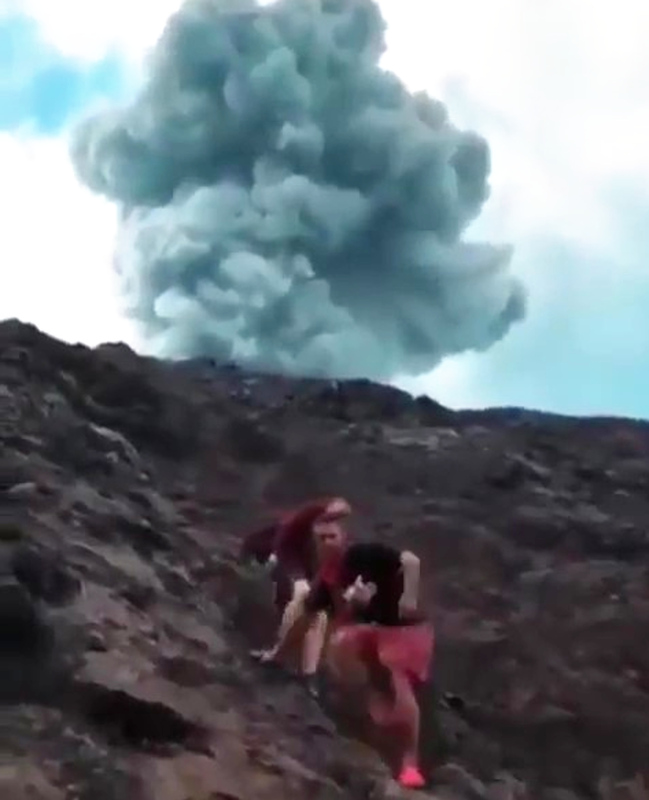 Despite the relatively small-scale blast, the volcano’s alert remains at Level 3 (standby) and the island’s Ngurah Rai International Airport remains open.